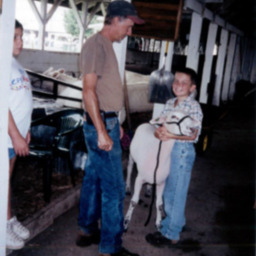 Photograph showing Tyler Wakeman and Steve Truban at the Shenandoah County Fair. 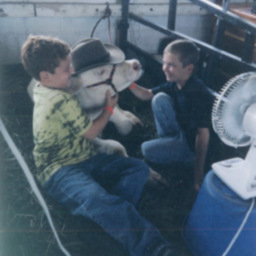 Photograph showing Greg and Tyler Wakeman at the Shenandoah County Fair. 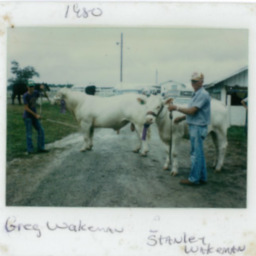 Photograph of Greg Wakeman and Stanley Wakeman with cattle at 1980 the Shenandoah County Fair. 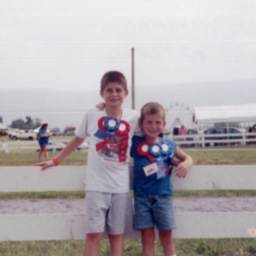 Photograph of Zach and Tyler Wakeman (brothers) at the Shenandoah County Fair in 2000. 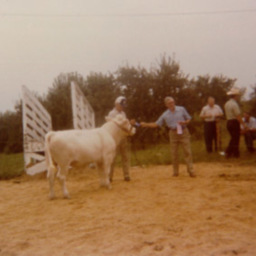 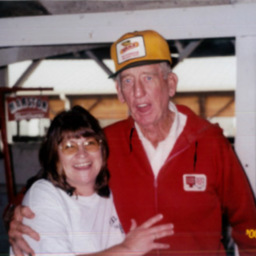 Photograph of Stanley Wakeman (on left) receiving an award with his show cow from Tom Eagle at the Shenandoah County Fair.